Many things can cause unnatural hair loss but genetics, illness, diet and lifestyle, are primary culprits. There are also different types of hair loss. Hair loss can be permanent, or temporary; it can be gradual or happen rapidly; it may fall out in individual strands or come away in clumps. However you’re losing your hair, hair loss caused by anything other than the ordinary cycle of hair growth should be investigated. Hair Loss – It Is Actually Normal! Everyone loses hair. Hair has a specific growth cycle and at the end of that cycle, it falls out. Fortunately we’ve been designed in such a way that our individual hair follicles, and we have nearly as many of those as most other mammals, are not all in the same phase of growth at the same time. In this, nature is truly a wonderful thing. She has ensured we always have hair in varying stages of growth. This allows us to avoid going completely bald at regular intervals, which is what would happen if these stages weren’t staggered across our follicle population. So if you notice the odd strand of hair in your brush or comb, or attaching itself to your clothing or pillow, fear not. It’s perfectly normal. To understand how hair loss can be considered ‘perfectly normal’ we probably need to know a bit more about the internal workings of our hair. Or at least the bits pertaining to hair loss! And hair regrowth. Our hair follicles have a permanent and a non-permanent section. The permanent section is the top half of the follicle from the epidermal opening (oil pore) to just below the hair bulge about midway down the shaft. The bottom section of the follicle, or the bulb, is transient. It’s reabsorbed during the catagen phase of the hair growth cycle and a new one is generated to produce the new hair. Hair growth. anagen is the growth phase; catagen is the regressing phase; and telogen, the resting or quiescent phase. At the end of the growth (anagen) stage, there is a short period of around 10 days called the catagen stage. 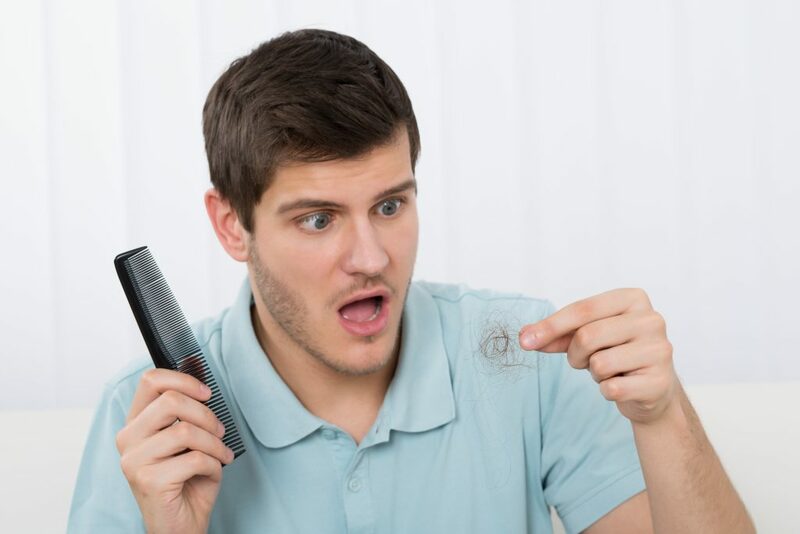 During catagen, the old hair is pinched off and separated from the dermal papilla at the bottom of the hair follicle (the papilla supplies the growing hair with nutrients). The hair bulb dies off and the hair becomes what is called a club hair. At the same time, the non-permanent section of the hair follicle is reabsorbed and recedes. During the next phase (telogen) which may last from a few weeks to a few months (the average is 5-6 weeks), the club hair ‘rests’ in the permanent section of the hair follicle whilst underneath it, the embryonic beginnings of a new hair starts. Why does your old hair not fall out as soon as it dies? Perhaps it acts as a plug to protect the proceedings going on beneath it from bacteria and germs that may be sitting on the surface of the skin. Whatever the reason, it will be a good one! Mother Nature rarely does things without good cause! So whilst your old hair is having a rest before parting company with your head, hair germ cells located at the bottom of the hair follicle jump into action and a new follicle bulb starts to develop. Within this new follicle bulb is the beginning of your new hair. As it grows, the old hair falls out. And into your brush or comb, or onto your pillow! Important Fact – there should only ever be around 10 to 15% of your hair falling out at any one time via your hair growth cycle! If you have any more than that, it’s generally considered abnormal. Hair – We Grow It For A Reason! Our hair growth cycle has purposely evolved to ensure new hairs start regrowing as old hairs fall out. As a bit of background information on this – humans lost the thick mammal-like covering of hair over most of our body when we started walking upright and exposed less of ourselves to the sun. We retained a dense covering of it on our heads, likely because this is the part of us most exposed to the sun. Therefore, we are genetically programmed to retain this natural form of protection for as long as possible. But alas, sometimes things go awry and we unnaturally lose more of our hair than we’re supposed to. This is probably when you should start worrying! Because sometimes abnormal hair loss can be symptomatic of other health issues. And, as we’ve also mentioned, that hair loss can be non-permanent, or permanent. Telogen effluvium is unusual but non-permanent or temporary hair loss. 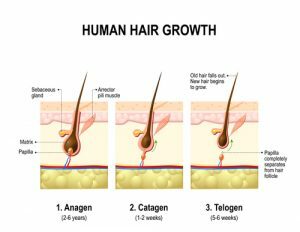 Telogen refers to the hair growth cycle phase in which hairs stop growing and are shed. Effluvium means ‘outflow’ so you essentially experience an outflow of hairs whilst they’re in the telogen stage. Normally around 85% of your hair is in the growth, or anagen, stage and only around 15% in the telogen stage. Sometimes however certain triggers will ‘shock’ abnormally large numbers of growing hairs into a premature telogen stage. Anywhere up to 70% or more of your growing hairs may be precipitated into premature death like this. When this happens, and so long as it is only temporary, you likely have telogen effluvium. Telogen Effluvium – What Triggers It? The interesting thing about telogen effluvium is that you may be well and truly over whatever shocked most of your hair into premature death by the time you realise you have it! This is because the telogen stage, as outlined above, can last up to several months. During this time your old hairs, even though they’re dead, remain in situ. It isn’t until the new hairs underneath push them out that you’ll experience wholesale hair loss. And incidentally get to see exactly why only 10-15% of our follicles are naturally programmed to go through catagen and telogen at any one time! So if you suddenly experience a lot of hair fall and a resulting thinning of your hair, that’s a good sign you have telogen effluvium. Gradually the hair fall will lessen, although it could take a good few months, and you’ll regrow a new head of hair. However, depending on what caused the ‘shock’ originally, this regrowth could be incomplete. For instance, if it was caused by an underlying health condition like cutaneous lupus, there could also be some scarring alopecia involved. In which case some of the hair follicles themselves will have been killed off and the hair loss in those areas will be permanent. Your fingernails will give you another clue you may have telogen effluvium. In fact, your fingernails are a great mirror of health and disease full stop! They also follow a similar process of keratin synthesis to your hair. Any sudden interruptions to that process, whether caused by direct injury to the nail itself or a general ‘shock’ to the system, will show up rapidly as a groove across the surface called a Beau’s line. Given that a nail usually takes around 5 months to get from the proximal nail fold to the end of your finger, you can calculate when the shock happened and figure out what it was. If the Beau’s line is only a quarter of the way down the nail, the ‘event’ happened a month ago. So if you notice an unexplained Beau’s line appear on your nails, you can probably expect something to happen with your hair. First of all, you should establish what caused it in the first place. If it was just a spontaneous reaction to something that happened, which is no longer happening, chances are you’ll already be on the road to recovery by the time you realise you have telogen effluvium. 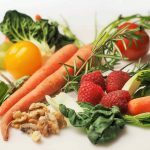 However, if it was caused by an underlying health disorder like lupus or hypothyroidism, or by drugs, an iron deficiency or other nutritional issues, you will need to take steps to address those first and your hair loss should resolve itself in time. Consult a nutritionist or dietician for example if diet is the underlying cause. 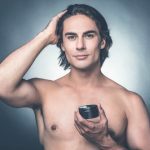 It would also be a wise move to talk to a hair loss professional and discuss appropriate hair care products and hair care whilst your hair is growing back. Remaining positive about your telogen effluvium is also a good way to approach it. Remember, telogen effluvium is temporary hair loss so if you’ve taken all the right steps to deal with whatever triggered it, you’ve done the right thing. You can also consider using hairpieces or a wig whilst your hair is growing back. Or learning new hairstyles that help disguise it. Propecia is often prescribed for men suffering from hair loss. This is a DHT restrictor and it can help stop or slow down hair loss as well as encourage new hair growth. Minoxidil – stimulates hair follicles, even when they’ve been damaged, unless the damage is permanent. Bottom line though, as we started out by saying, hair loss caused by anything other than the ordinary growth cycle of a hair should be investigated.